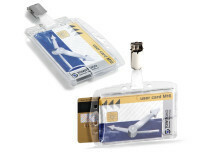 Dual Security Pass Holder with rotating clip fastener. 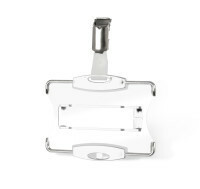 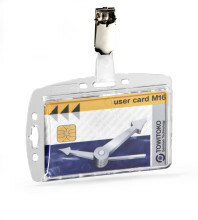 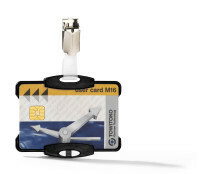 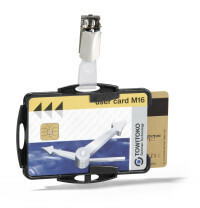 Securely holds two ID cards in portrait or landscape format. 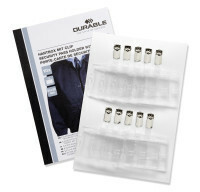 Can be combined with chains, textile necklaces and badge reels. 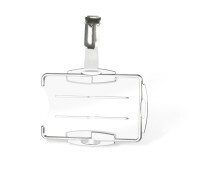 With rotating clip fastener and thumb slot for quick access to the inserts.